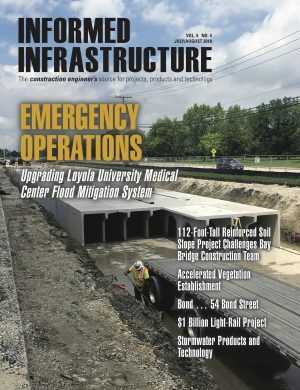 Avineon, Inc., a successful provider of geospatial, information technology, and engineering support services for over 25 years, has launched a new portion of the Avineon Innovation Lab dedicated to insightful articles, white papers, and videos highlighting the impact of Esri’s Network Management System in the ArcGIS Platform. GIS services and solutions have been a part of Avineon’s success for the last 25 years. Keeping pace with evolving technology and the impact GIS has on companies in the utility and telecommunications industries remains a competency that differentiates Avineon from its competitors. To that end, Avineon announced today the launch of a new section of the Avineon Innovation Lab focusing on Avineon’s contributions, expertise, and partnership with Esri on the next evolution of GIS Network Management: the Utility Network. For more information on Avineon’s Head Start Program, partnership and insights on Esri’s Utility Network, please visit https://avineonlab.com/esri-utility-network/. Avineon, Inc. was founded to help you Visualize IT and See IT Through. Since 1992, our customers have relied on us to deliver high quality and value in information technology, geospatial, and engineering support solutions. We offer state of the art information management systems that leverage business process management and data analytics technology to improve execution of our customers’ mission-critical tasks. With headquarters in McLean, Virginia and offices in Washington, DC; Florida; Canada; Europe; India; and the Middle East, we stand ready to apply our CMMI Maturity Level 3 and ISO 9001:2008 compliant processes for the benefit of your organization. For more information, please visit www.avineon.com.